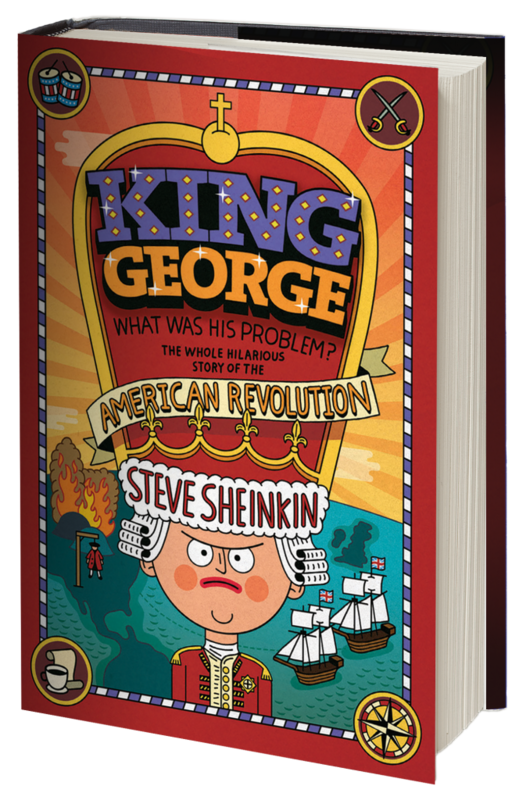 Steve Sheinkin » King George: What Was His Problem? History – with the good bits put back! What do a hopping-mad George Washington, hundreds of naked soldiers, and a salmon lunch have in common? They’re all part of the amazing story of the American Revolution. This is the story of the Revolution that you won’t read in a textbooks, from the first shots to the formation of the United States: action-packed, unexpectedly funny, and entirely true.